These special wild places include: Baja’s Pacific Islands Biosphere Reserve, a brand new 2.7 million-acre wildlife reserve offshore from Baja’s Pacific coast, that we advocated for over the past five years; Laguna San Ignacio, a pristine gray whale birthing lagoon where we have helped to conserve 450,000-acres of habitat; Magdalena Bay, a lagoon that provides sanctuary for gray whales in Baja, where this year we helped to conserve over 182 miles of shoreline and 3,709-acres of mangrove islands; Morro Ayuta beach in Oaxaca, where our team is busy protecting the more than 600,000 Olive Ridley sea turtles that nest there each year; and the coast of California, where we are leading the effort to manage over 500,000 acres of marine protected areas that are home to elephant seals, gray whales, black sea bass, green sea turtles and the elusive leopard shark. Thanks to your generous past support, WILDCOAST is carrying out concrete actions to protect these stunningly beautiful wildlife-filled places for generations to come. However, due to climate change, resource piracy, overfishing and pollution, our work is needed more than ever. I was reminded of that this year after sewage-tainted floodwaters filled the federally protected Tijuana Estuary on the U.S.-Mexico border, after a brief spring rain. Normally the eelgrass-filled canals of this wildlife refuge can sustain the impacts of a sudden rainfall. But this time, due to the relentless El Niño-related winter surf, the rivermouth closed up, causing toxic sewage-tainted runoff to backup and flood the estuary. By the time federal officials had breached the rivermouth, hundreds of leopard sharks had died. 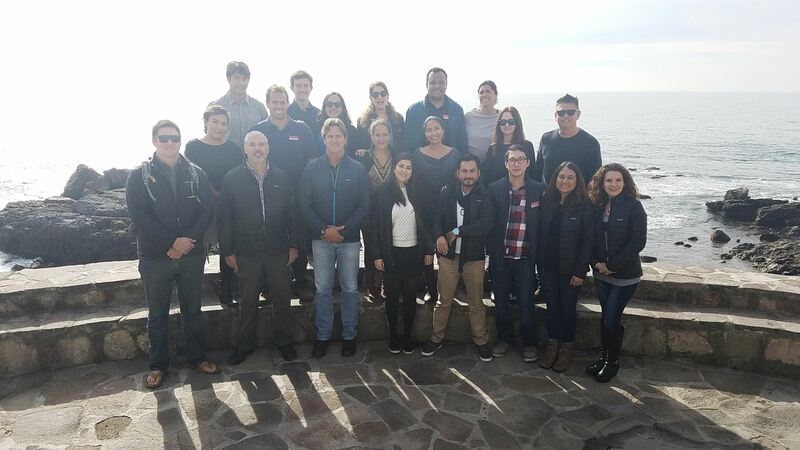 The leopard shark die-off in the Tijuana Estuary was a shocking lesson in how fragile the wildlife and ecosystems that we strive to protect truly are, which is why WILDCOAST is more committed than ever to make sure that we conserve what we have left. With the potential for one toxic event to have such serious impacts, our continued conservation and restoration efforts are more important than ever. 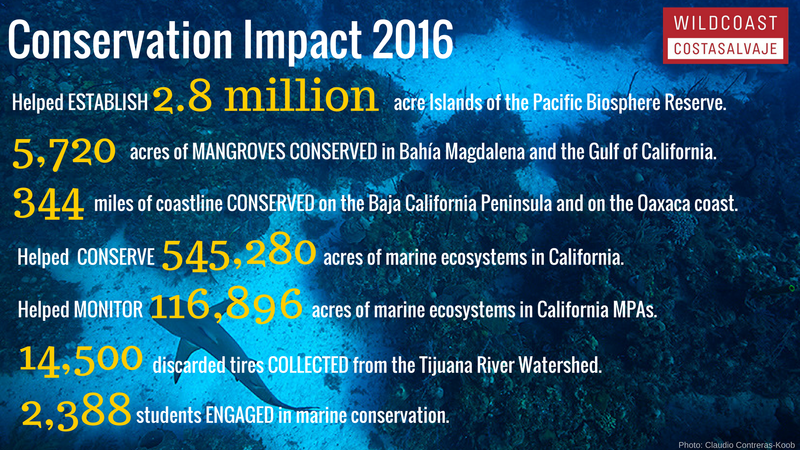 Our efforts to preserve the world’s most amazing and biologically significant ocean places would not be successful without your help. With your donation, WILDCOAST will be able to continue and expand our efforts to conserve sea turtle nesting beaches, gray whale birthing lagoons, California’s beautiful kelp forests and some of the world’s most ecologically important coral reefs. 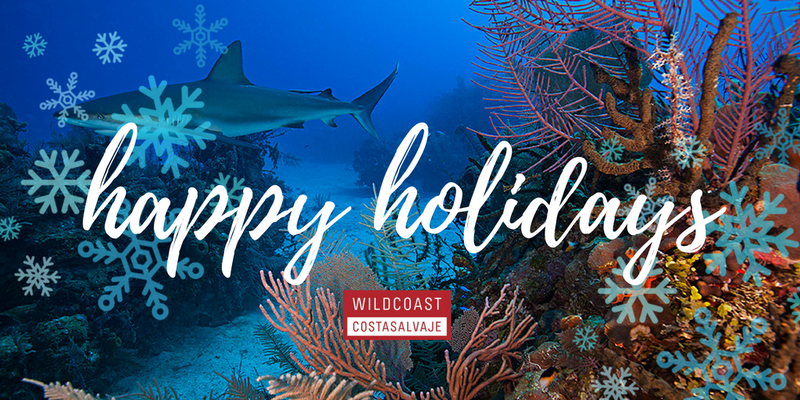 So as 2016 comes to an end please make a generous donation to WILDCOAST so we can continue to enjoy the wonders of our coast and ocean. I invite you to be a part of this exciting and important work and thank you for your support.